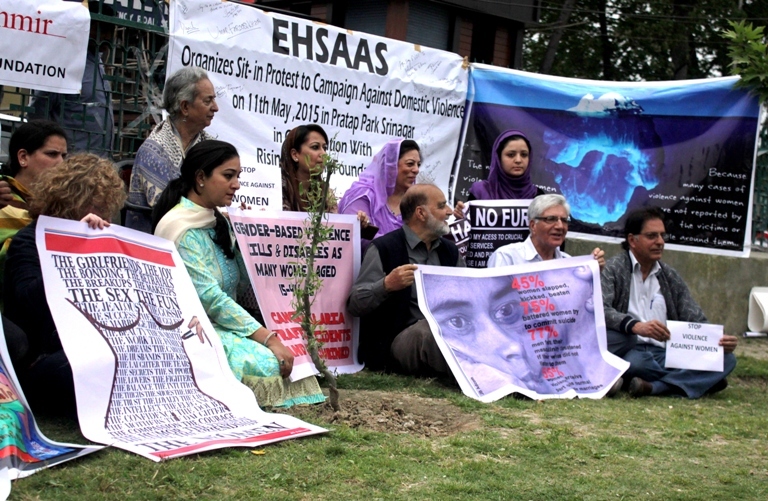 Against the ‘growing cases of domestic violence’ in Kashmir, a sit-in was organised by an NGO, Ehsaas on Monday, which was attended by noted civil society members, media persons and others. Notably, many recent cases of domestic violence sent shockwaves around valley. In Srinagar, a woman was allegedly set ablaze by her husband. After remained critical in hospital for many days, the lady later succumbed to her burns. 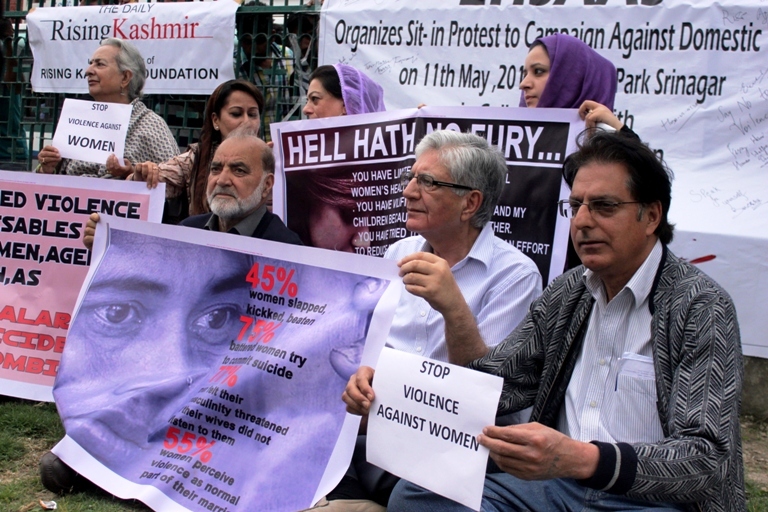 Days after the shocking Srinagar’s episode, a 60-year-old Kupwara man beat his wife to death. Meanwhile the main motive behind organising the protest, said the NGO, was to bring the issue to government focus. “There are hundreds of cases pending in courts, so the government should set up fast-track courts for speedy trial,” the protestors said. Men and women turned up for the sit-in rued over the “defunct” State Human Right Commission (SHRC) and Women’s Commission. “Both the commissions have failed to do justice to the cases of the victims of the violence,” they said. And also, they said, there is only one women police station in the valley which has male staff—who has been assigned the duty of registering the complaints of women. “More police stations should be added keeping in view the growing cases of violence against women and only women staff should be posted there,” they said. It should implemented in state on priority..
Cases should be handled in particular time frame… So judgment can give some relief to women soon… Presently it took decades to get judgment… So fast track court is good option and time frame for domestic violence cases..